More artfully drawn and directed conversations, slapstick comedy, fanservice, and a flashback sequence with disturbing revelations about our new heroine. Anyway, Tsubasa Hanekawa, the class rep who’s had long conversations with Koyomi in every other arc, is the heroine this time. It’s revealed through conversation with Koyomi (in a sea-side scene that was very pleasing to the eye) that the “parents” she lives with are not her real parents, and that her step-father is physically abusive to her. This doesn’t come as too much of a surprise, as she has been shown to detest going home in the past (after all, she was able to see Mayoi, because only those who don’t want to go home can see her). And though Koyomi reacts in surprise, he didn’t seem to respond in his standard. Perhaps Oshino’s lecture on not helping everyone got through to him. At the very least, he’s promised Hanekawa that he wouldn’t tell anyone about it, though it’s a promise he doesn’t intend to keep. There’s a nice little scene with Nadeko after the OP, with more gratuitous fanservice and the seemingly out-of-place but now expected slapstick/super deformed comedy. A couple confusing things happened at the end of their conversation. 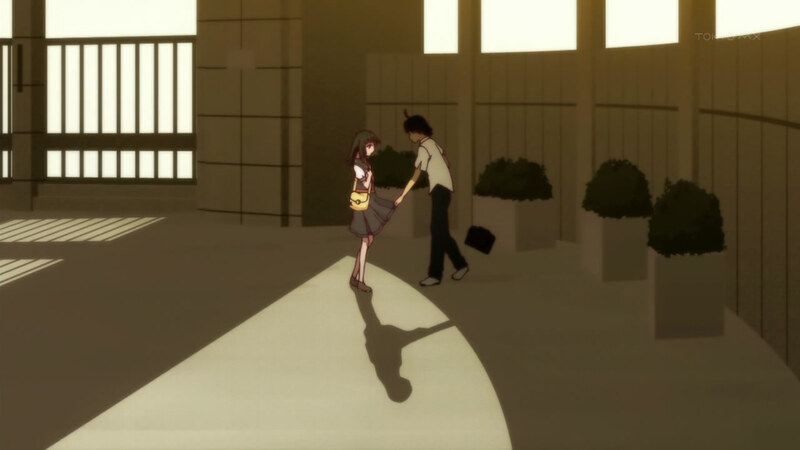 First, Koyomi reaches out to a hesitant Nadeko and slightly lifts up her skirt. 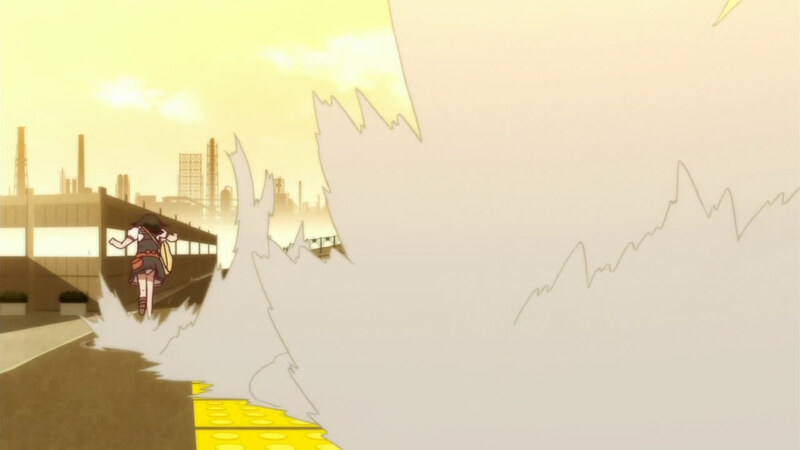 He is quite a pervert, as shown by his actions in Mayoi Snail, after all. But that action was still confusing and came seemingly out of nowhere. 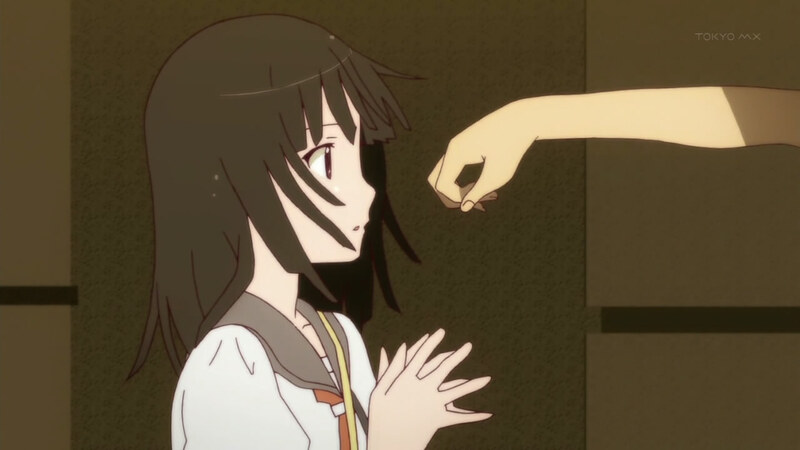 What was clear to me was that SHAFT was trying to draw a parallel between the shape of Koyomi’s extended arm and that of a snake. I still have hope that last episode was not the last of the snake’s story. 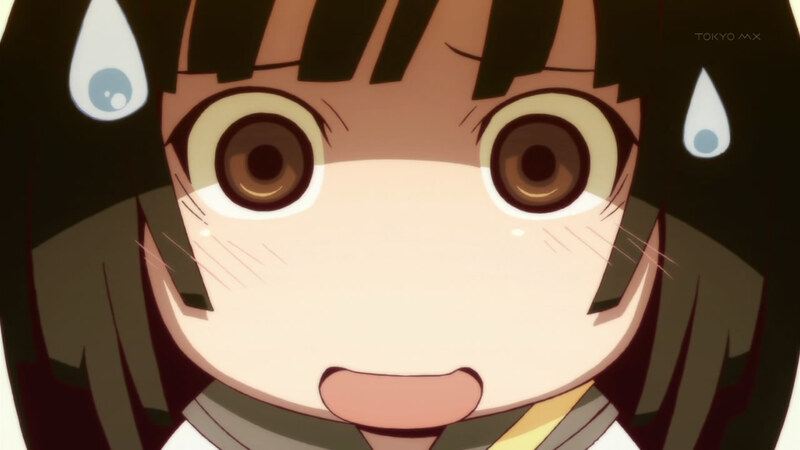 The other confusing thing was that when Hanekawa happens to appear, the level of fear Nadeko showed. She sprints off in a hurry, leaving Road Runner dust trails behind her. There’s apparently something very fearful about Hanekawa. The flashback that follows provides some insights. Exactly a year ago, during Golden Week, Hanekawa had been haunted by a cat, transforming her into a (hot) catgirl and causing her to go about town sucking the energy out of people, apparently enough only to hospitalize them. Her first targets were her parents, who I’m presuming were her real ones at that point. 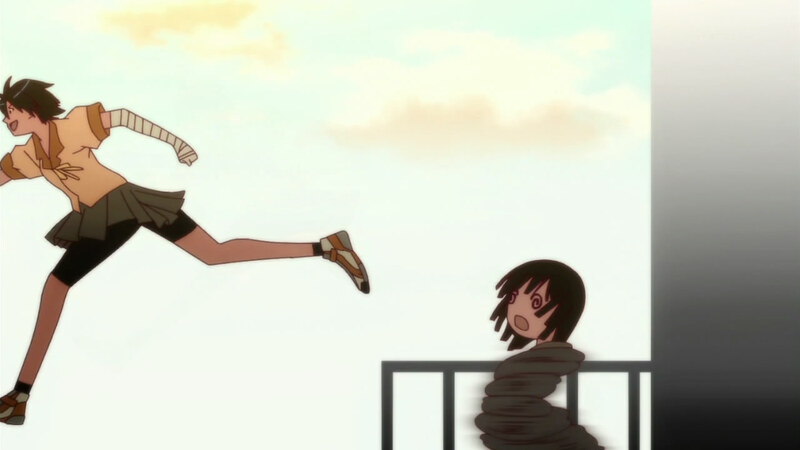 And it’s Shinobu who manages to stop her. 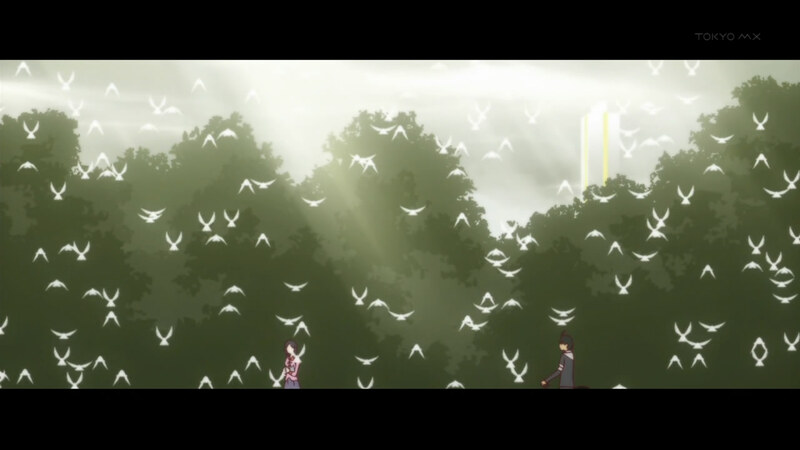 Interestingly, Koyomi was out trying to track Hanekawa the entire week, even though he’s not supposed to be a vampire at this point. 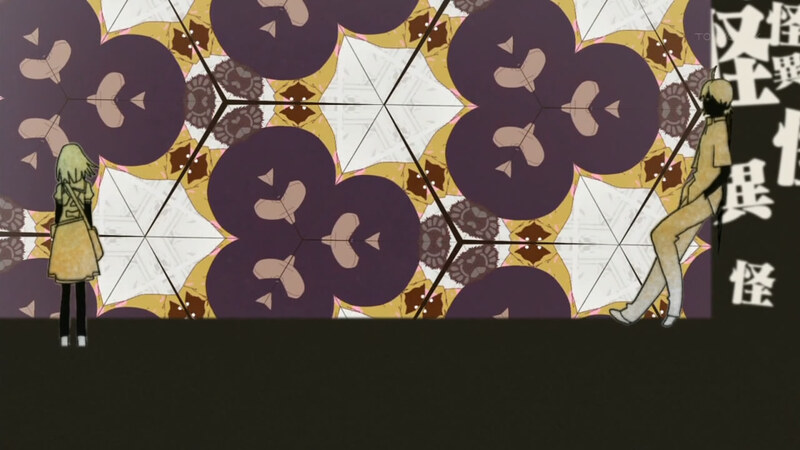 Anyway, we see Shinobu in action, which is pretty cool. Since she does have a voice actor listed, I’m hoping there will be more flashbacks with her involved. I really enjoyed the flashback, which felt longer and more coherent than the previous flashbacks in the show. 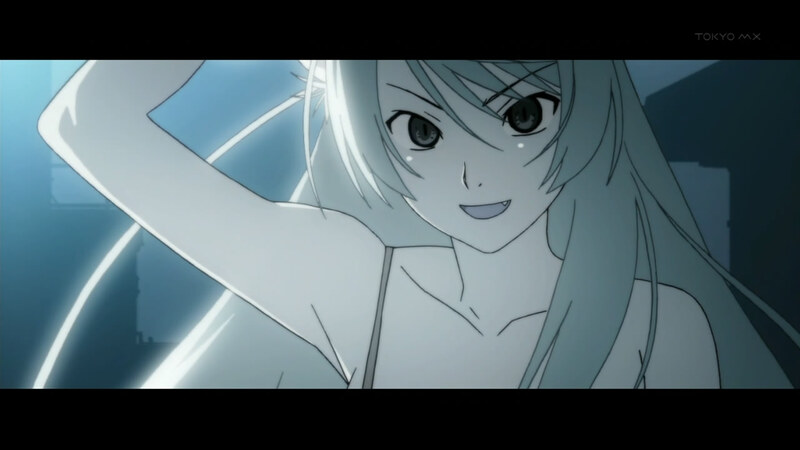 Hanekawa avec cat ears, sans glasses, clothes, pig tails is, as mentioned above, quite hot and looks nothing like her. The whole headaches leading to cat ears reminded me of the 3rd episode of FLCL, when something similar happened to Naota and Ninamori. And we got to see Shinobu being more active, even if her take down of Hanekawa was rather subdued considering what was going on. 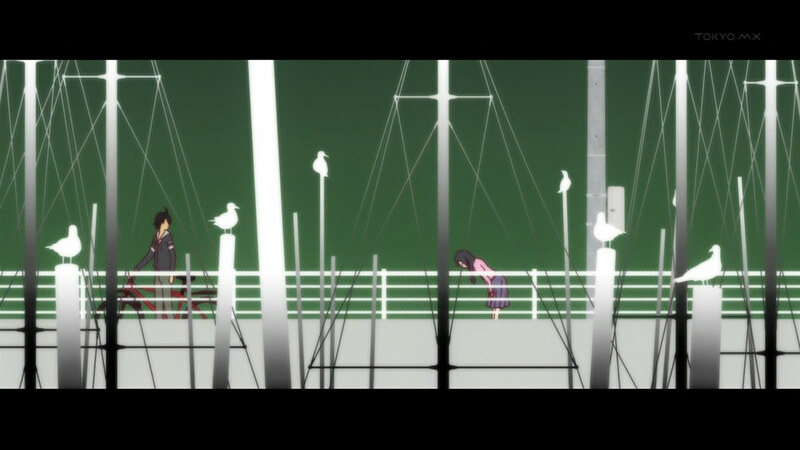 Bakemonogatari is at this point a known commodity; the specifics of the plot are new, but all its themes and conventions have been laid out on the table. I don’t mean to imply that this is a bad thing; from the very beginning, the show was about the moment, the progression of the story merely vehicles to allow for the beautiful scenes and if not witty, at least amusing dialogue. I just feel that I have a better grasp on the show now as a fun character-based dark comedy instead of something striving for more. That said, Hanekawa’s story still interests me. I’d like to see how her problems, both supernatural and domestic, get resolved. One of the themes of the show has been solving problems by oneself – Oshino says twice to heroines that he can only help, that they’ll have to solve their problems themselves – so I’m interested in seeing what Bakemonogatari’s unique approach will be, and how the two problems will tie together. 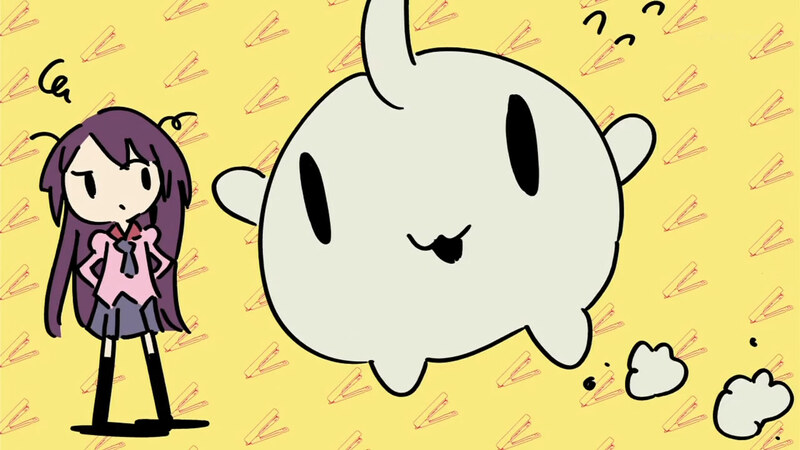 Also, since the different OPs have been excellent and I do really enjoy listening to Yui Horie, I’m hoping that next episode will feature her OP.